Thought you couldn't pull off a Dress or skirt with sneakers? Think Again.. I'm personally obsessed, I own at least a dozen pairs of heels, but every time I put on a dress this past few months I left my heels in the back of my closet in favor of… sneakers. 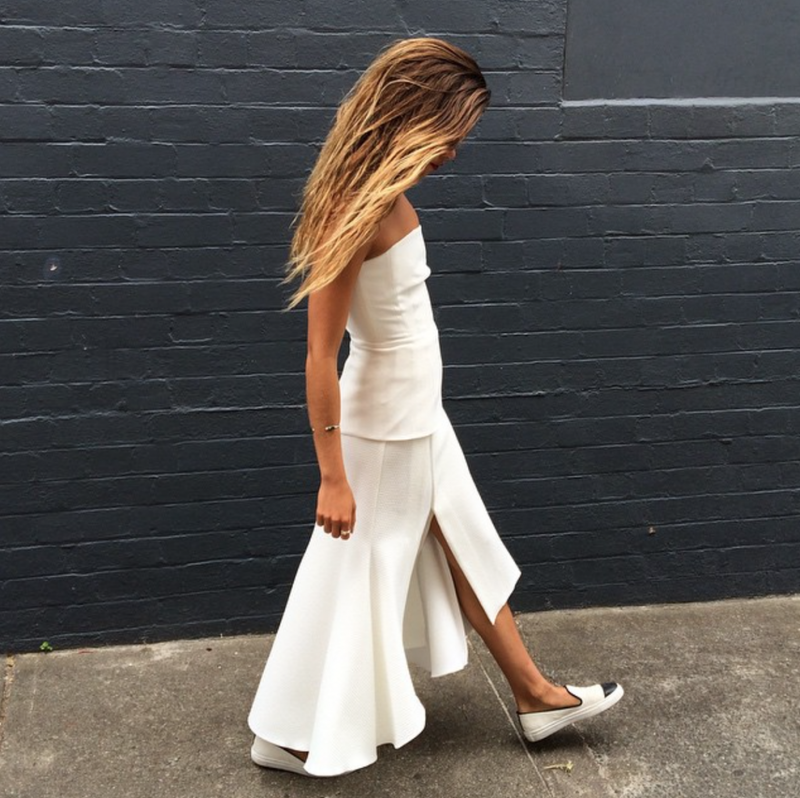 Dresses and sneakers: two very different styles, right? But when done correctly, the feminine and masculine styles can create a totally on-trend look. Luckily for our feet, the sneaker trend is still going strong. Here are, some styling tips so you can make this tricky trend a fashion "do." The secret to making this combination just flattering enough is: First, leave off the socks, or at least wear them so that they aren’t visible. I’ll go a step further by saying that I personally prefer it when the laces are tucked away too, but that’s not essential. When putting together a sneakers and dress kind of outfit, you want to achieve a casual and chic look, not an athletic one. To make sure you don’t commit this mistake, avoid wearing a dress with a pair of sneakers that you would wear to the gym or workout in. Cross trainers don’t exactly look pleasing with a girly dress so go for off-duty brands instead Stick to pairing Converse, Vans, Keds, Pumas, slip-on Sketchers or retro styled sneakers with your dresses and skirts. It’s very important to keep proportions in mind. No woman dresses to look shorter than they are, even when they opt for shoes without heels. If, unfortunately, you weren’t blessed with long and slender legs, try to avoid wearing high-cut sneakers with a dress, especially short dresses. High cut sneakers will make your legs look even shorter and sometimes stubbier too. They’re okay to wear with maxi dresses, though, but still tread carefully when trying to pull that off. 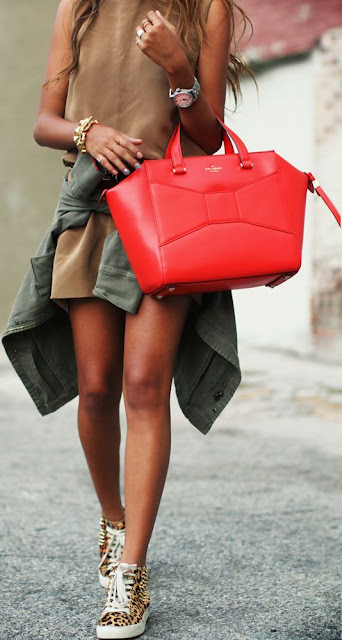 Go for bright coloured sneakers if your outfit has a neutral colour palette. See how these ladies wore theirs and get inspired. Will you wear sneakers with dresses or skirts? If so, do you stick to fashion sneakers, or will you be more daring and wear the chunkier athletic styles? If it’s not your look, can you appreciate the combination on others? tell us by leaving a comment below.